It’s time to grill and chill! Enjoy a delicious BBQ Dinner buffet with live grill staton at the Hilton Waterfront terrace near the gentle waves of the Danube. Just outside the conference venue you'll find one of the most exclusive BBQ locations in Vienna. We take the opportunity to have a good time together there: With drinks, good food and swinging tunes. The BBQ starts on September 12 at 7PM. BBQ is free for conference participants the whole evening. Please order drinks before 8PM. 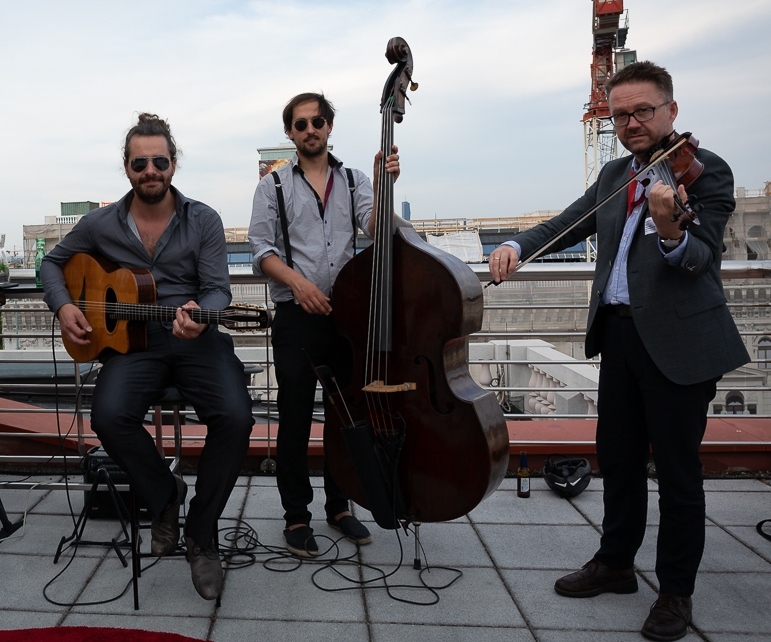 A special apperance of the Gidon Oechsner Trio will bring some swing tunes for the evening. Join us for this chilling evening at the Danube. The delicious BBQ Dinner buffet offers a large selection of Austrian fish, BBQ ribs, home smoked beef brisket, tasty salads and dessert variatons.